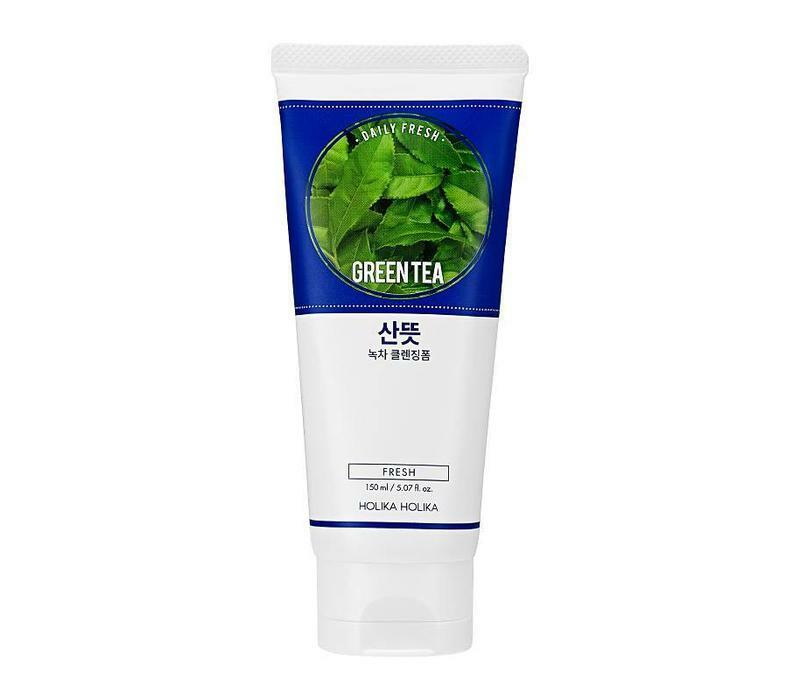 Start every day with the Holika Holika Daily Fresh Green Tea Cleansing Foam 150 ml! The foam cleans your skin without clogging your pores. The main ingredient of the foam are green tea extracts. 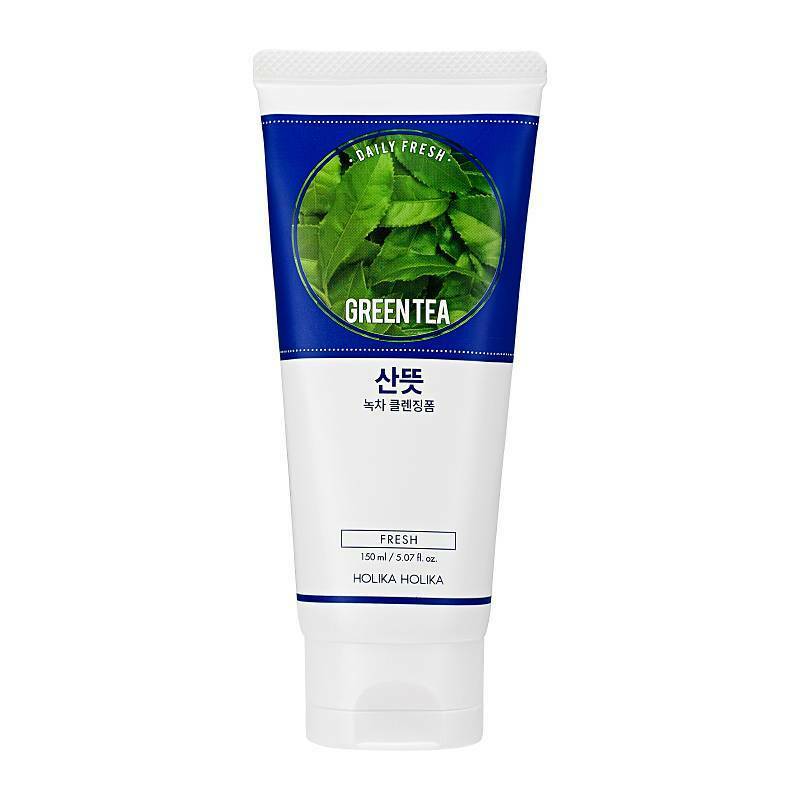 The green tea extracts are perfect for every skin type. The foam nourishes and hydrates your skin intensely while improving and strengthening your skin and the epidermis. The cell renewal process is also stimulated, which reduces dry skin. And last but not least: the foam also has an anti aging effect! Nourishes and moisturizes your skin intensely. Improves and strengthens the epidermis. Stimulates the cell renewal process. Has an anti aging effect. Is perfect for every skin type. Mix a small amount with water and create foam. Then apply the foam to damp skin. Massage in circling movements over your skin.